Drawband to help secure the roof flashing on a Majestic triple-wall flue system termination. 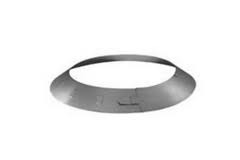 This drawband is perfect if you need a replacement drawband, if your home has more than one flue termination, or if you are a chimney professional. Drawband fit my flu pipe after it was installed 30 years ago! I was very pleased! Great product, fits great, good shipping!